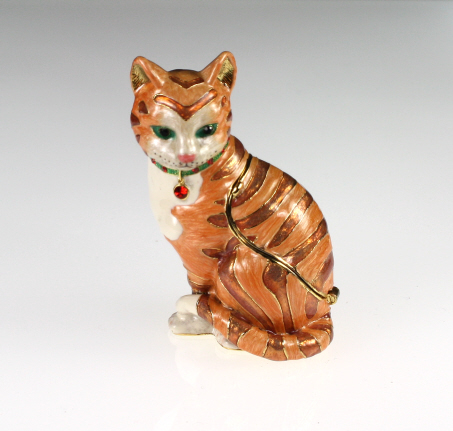 A stripey Marmalade cat trinket box with a pretty, white face and chest from Hidden Treasures. With Austrian crystals around her neck she is a pretty feline indeed. Padded presentation box and cameo necklace. A variety of cat breeds on a long straight ladies scarf. Size142cm x 35cm.